Tesla’s first electric car, the Roadster, might have been a pioneer back when it was launched in 2008, but it was also a flawed beast and was produced in limited numbers (about 2,500) for a reason. The car was built on a Lotus body and used a third party powertrain from AC Propulsion, and Tesla CEO Elon Musk has said that in hindsight the company should have just built an original car from the ground up, like they did with its second car, the Model S.
But now Tesla is rewarding its early Roadster customers (who were pretty patient with Tesla waiting through many delays) with some of what it’s learned while making the Model S. The day after Christmas, Tesla announced via a blog post that it will be upgrading the Roadsters out there with new batteries that have 30 percent more energy than the older Roadster batteries, new software upgrades to lower the car’s drag coefficient and more efficient tires. Altogether the upgrades will be able to deliver the “Roadster 3.0” a 40 to 50 percent boost to its range over the original Roadster, which was around 200 miles. Tesla said under some very specific driving conditions it can push Roadster 3.0 up to a 400 mile range. Tesla said it will be taking appointments to do the upgrade in the Spring of 2015. This isn’t the first time that Tesla has upgraded the Roadster. 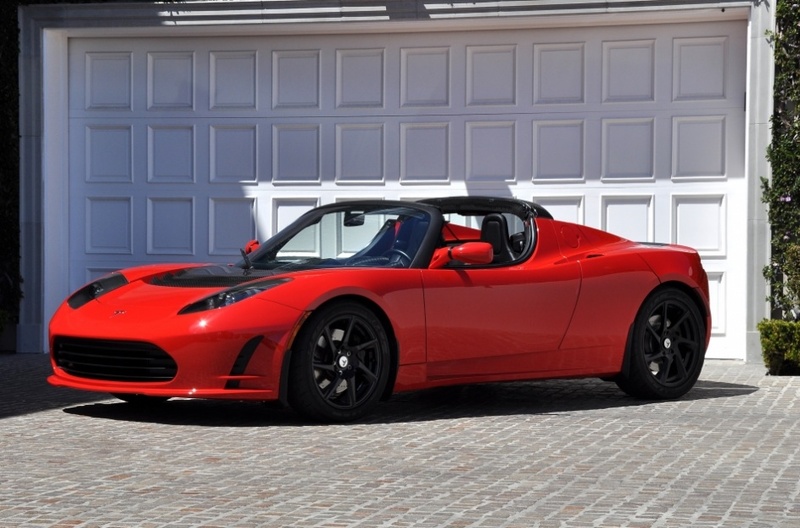 The company launched the Roadster 2.5 in 2010 (two years after the first version of the Roadster), which had some nicer features like a new front fascia, more comfortable seats, a touchscreen navigation system and better air conditioning. Checkout my test drive of the Roadster 2.5 back then. We’re wondering if Tesla still plans to launch a totally new Roadster design, using a newly designed body, like the company has been reportedly planning to do. Obviously that’s not coming in 2014, like previous reports suggested. Tesla has a lot on its plate getting the delayed Model X out there door, and working hard designing the Model 3, its lower cost, third car. â€œnew software upgrades to lower the carâ€™s drag coefficientâ€ would be a pretty nice feature though! I think you misread the press release. There is no software update to change the Cd of the car. It states that Tesla used computational fluid dynamics software to design lower drag spoilers, and those new spoilers will be installed as a part of the upgrade. What’s not clear is how much this will cost current owners. Thanks Carlton, sounds like I potentially did. I’ll double check with Tesla that this doesn’t use software upgrades and correct this if need be.